I just had to make a valence to go along with the curtains and tie-backs I made for my baby girl's room. 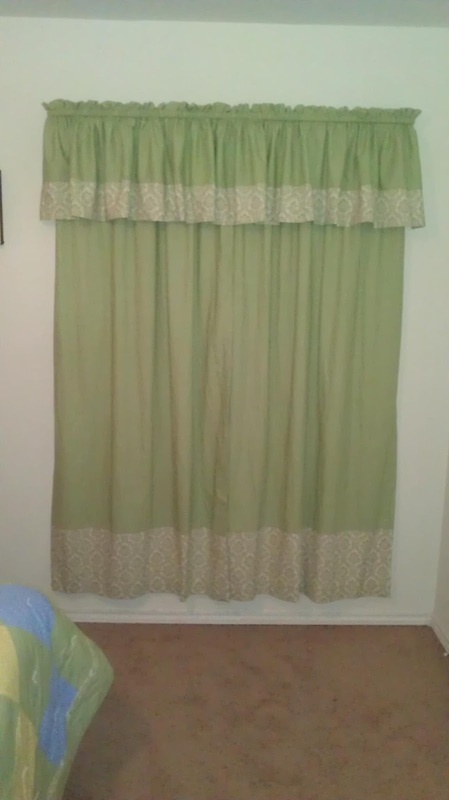 The curtains didn't look complete without it. This is another lengthy, picture-heavy post. 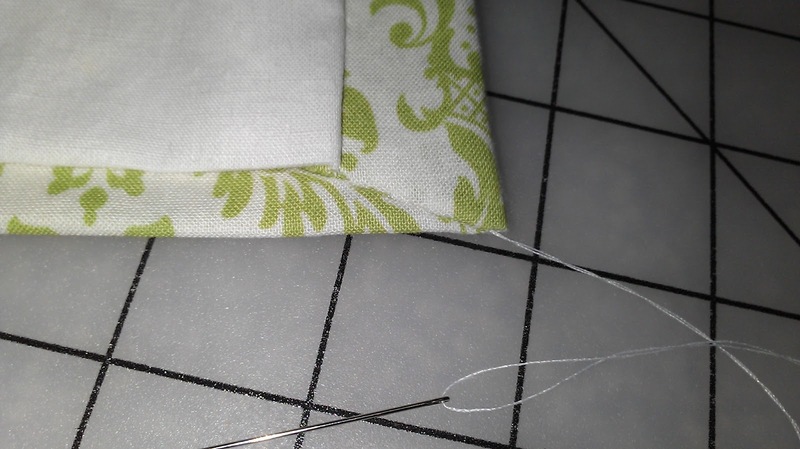 The sewing itself is not complicated--it's all straight seams--so I encourage you to give it a try, even if you're fairly new to sewing. Really, the only overwhelming thing is the amount of fabric you're working with, but don't let that scare you. 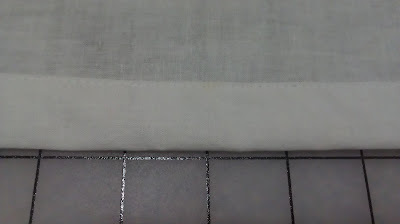 Decide how long you want your finished valence to be. I went with a finished length of about 18". The width measurement isn't very critical as this is a gathered valence. 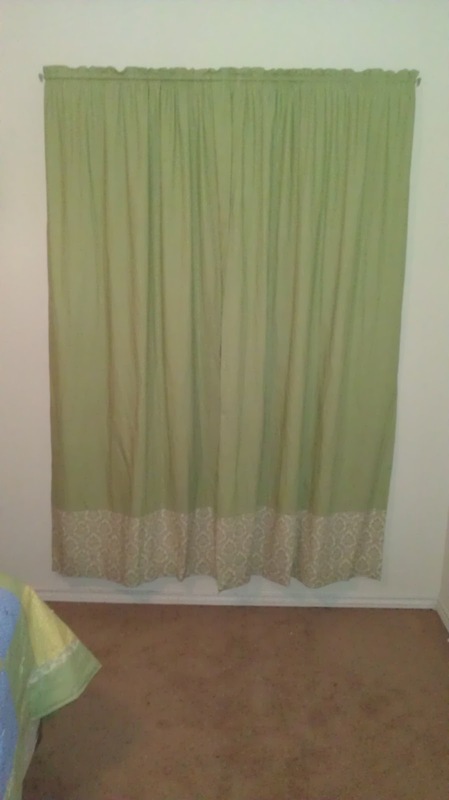 I wanted the valence to have more gather to it than the curtains, so I went with a finished width of 120" for my 48" window--or roughly two-and-a-half times the window width. To keep things simple, I am pretending that you are making your valence out of one fabric, rather than using two, as I did. 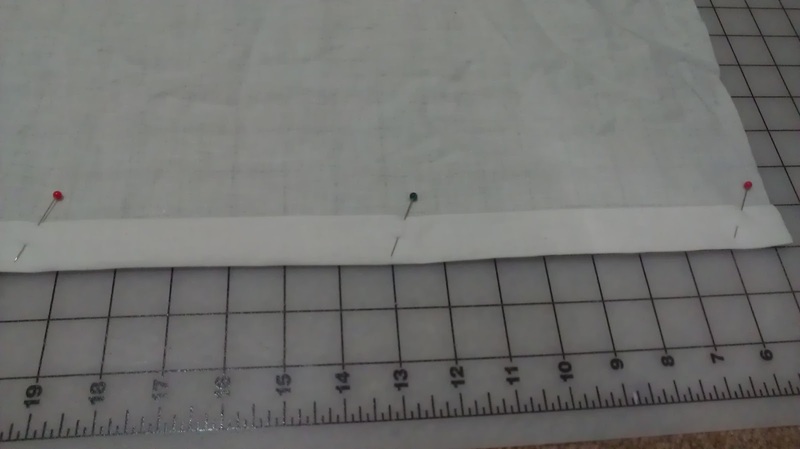 (If you want to use two fabrics, figure out how long you want the bottom piece to be, and then add only your hem measurement to that and add only the rod pocket and "frill" measurement to the top fabric). 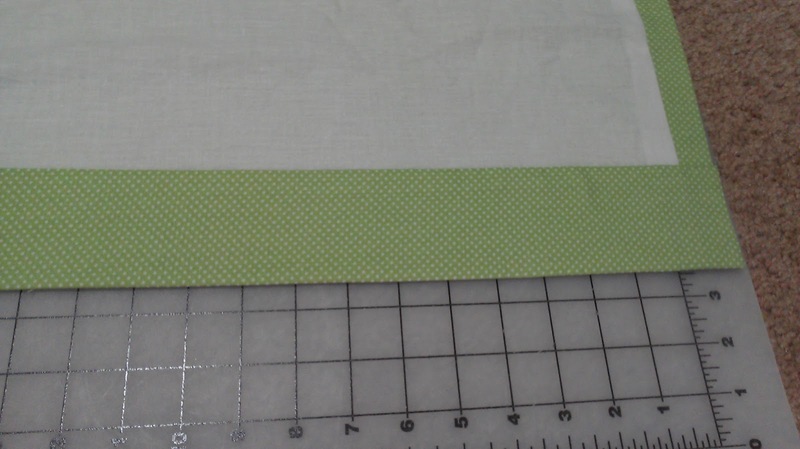 First, we need to figure out our cutting measurements. 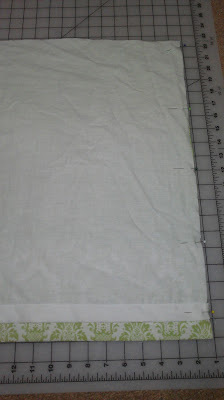 The width is easy--120" plus seam allowance. Actually, I decided to piece together two rectangles, giving me a seam down the middle of my valence. It saved me a lot of yardage! I cut them each 61" long. 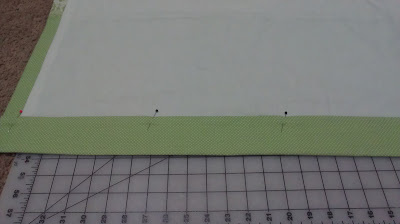 The height cutting measurement takes a little more math. Don't worry, I'll walk you through it. 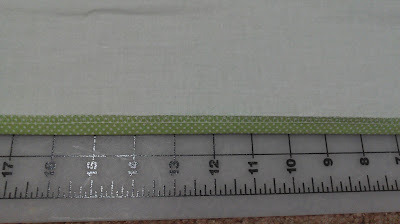 Start with your desired finished height measurement--mine was 18". 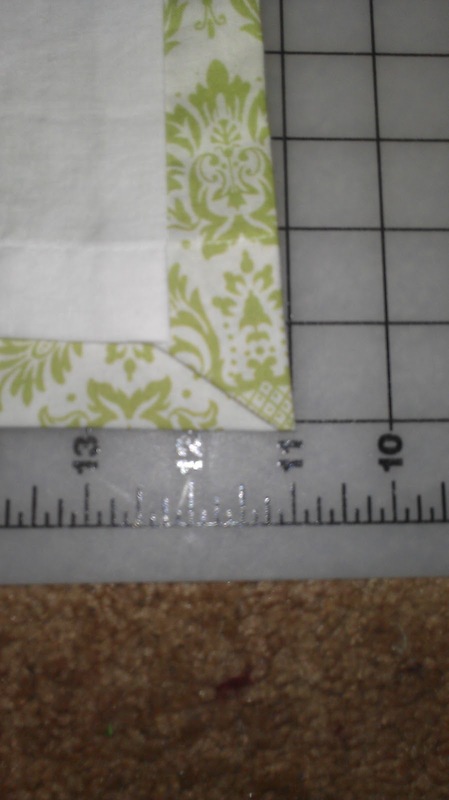 Add 4" for the hem, bringing your measurement to 22". Now, add the amount you need to create the pocket to fit your curtain rod, plus 1/2" for seam allowance; mine only needed 1" for the rod pocket, plus the 1/2" seam allowance, bringing my measurement to 23 1/2". I also wanted a little "frill" at the top, above the rod pocket. I went with 1 1/2" because I wanted it to be just slightly higher than the frill on my curtains, which I had made at 1". 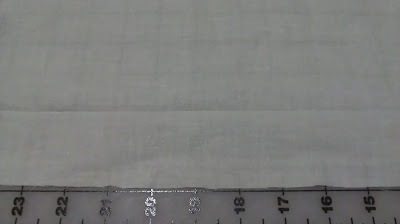 This brought me to an even 25" for my height cutting measurement. Okay, almost there, we can do this! 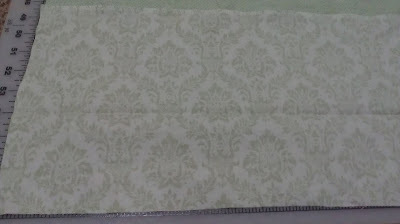 For the height measurement, we will again start with our desired finished measurement, which was 18". 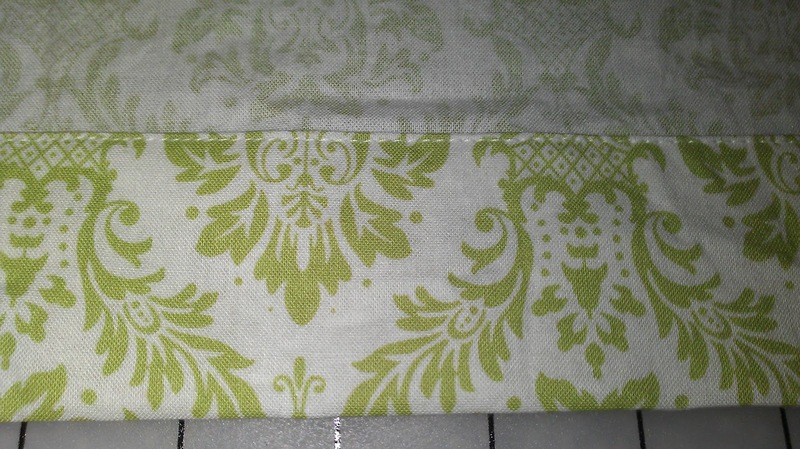 However, as I realized when sewing the curtains, you don't want the lining quite as long as the main fabric. Therefore, I went with a finished measurement of 17". Starting here, I added the amount needed for my hem. I didn't want my lining hem to be as deep as my valence hem, so I only added 2", bringing my measurement to 19". 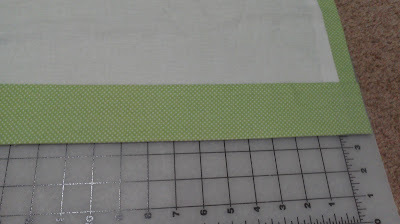 Then, I added the same 1" for the rod pocket plus 1/2" seam allowance, bringing me to 20 1/2". 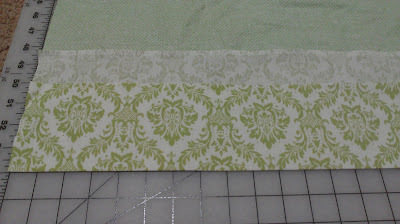 Finally, I added the same 1 1/2" "frill" allowance, for a cutting measurement of 23". 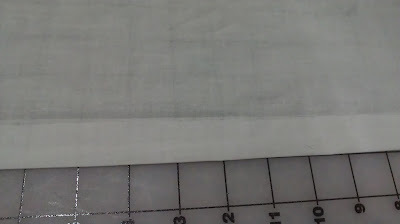 Cut two rectangles of valence fabric, 61" x 25"
Cut two rectangles of lining fabric, 58" x 23"
Seriously, it's almost irritating to spend that much time on math for four pieces of fabric. But now the fun part can begin! Taking the valence rectangle, press up 4" for your hem across the entire length. Unfold. 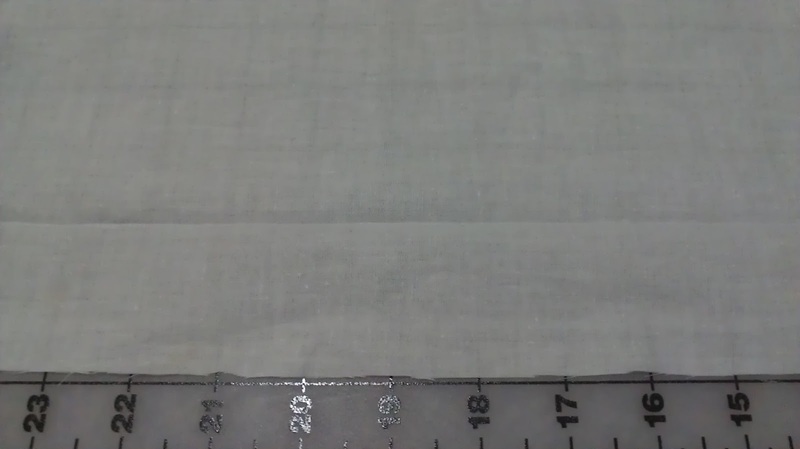 You should be able to see a nice straight crease all the way across. 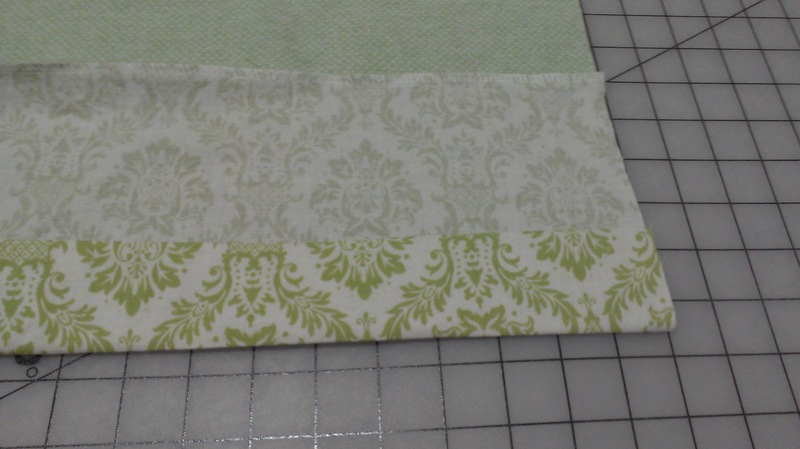 Take the bottom edge and bring it up to the crease, leaving you with a 2" fold. Press. 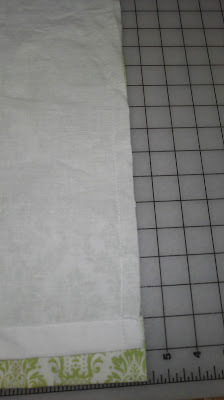 Leaving this folded, fold again on original crease line, giving yourself a 2" doubled hem. Stitch as close to the pinned edge as possible. 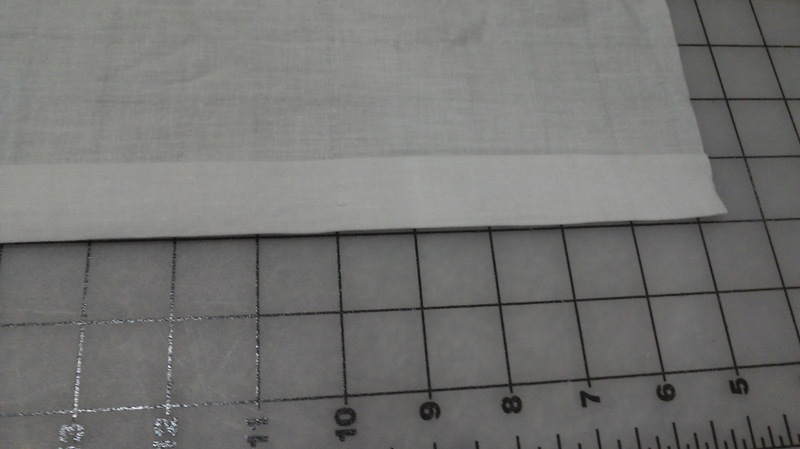 Now you're going to repeat this same process for the lining hem, just using different measurements. 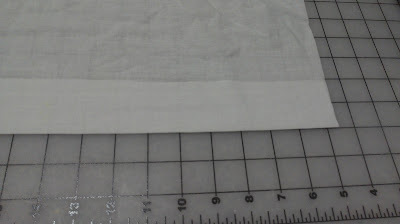 Fold up and press 2" of your lining hem. Unfold so you can see the crease. 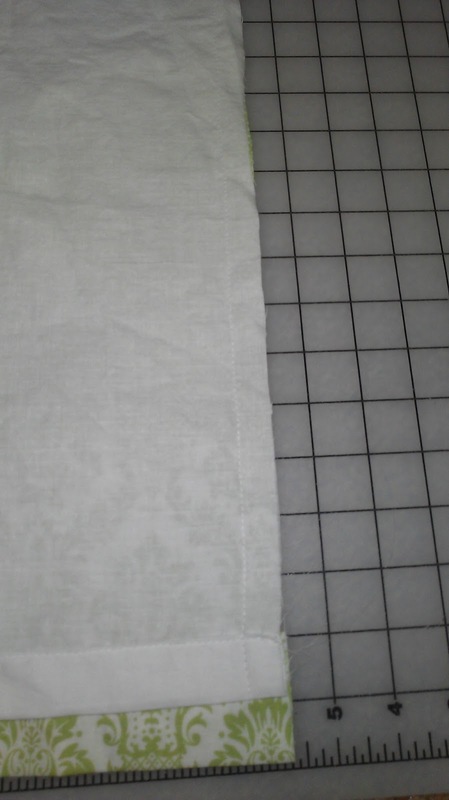 Fold up 1", which will take your raw edge just to the crease. Press. 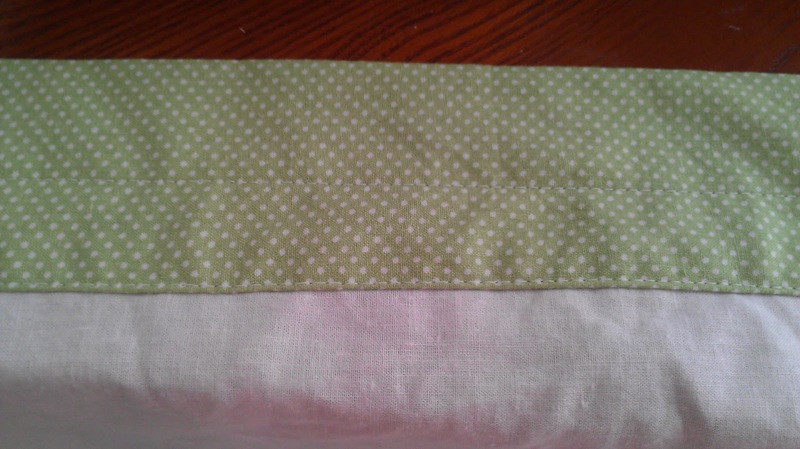 Leaving folded, fold again on original crease, giving yourself a 1" doubled hem. 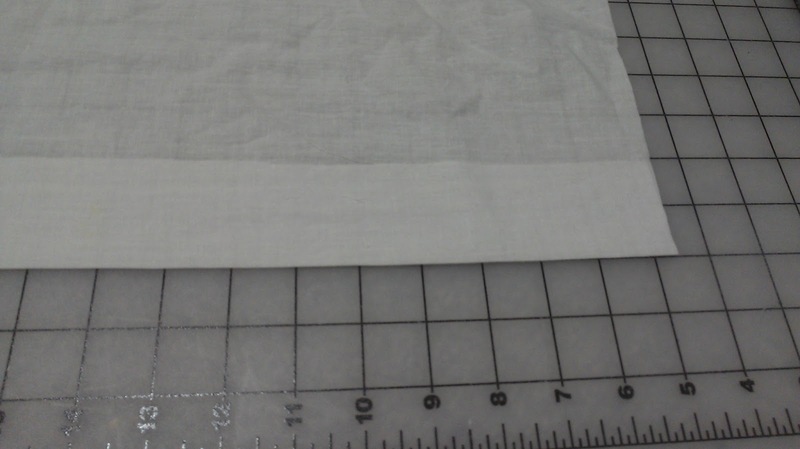 Stitch as close to pinned edge as possible, leaving you with another professional-looking hem. 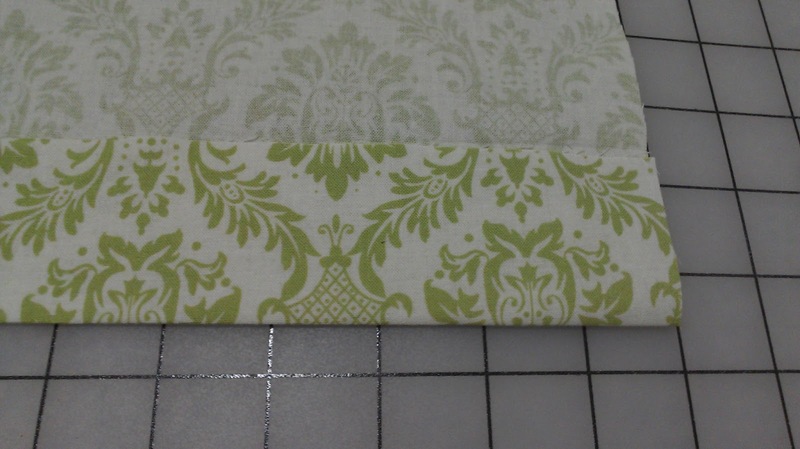 Now lay out your valence fabric, and then lay your lining fabric on top of it, right sides together. Line up the top and one edge. 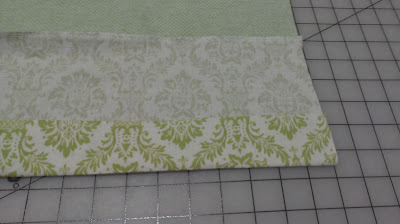 Now, getting 120" of fabric all lined up at this point may seem overwhelming. 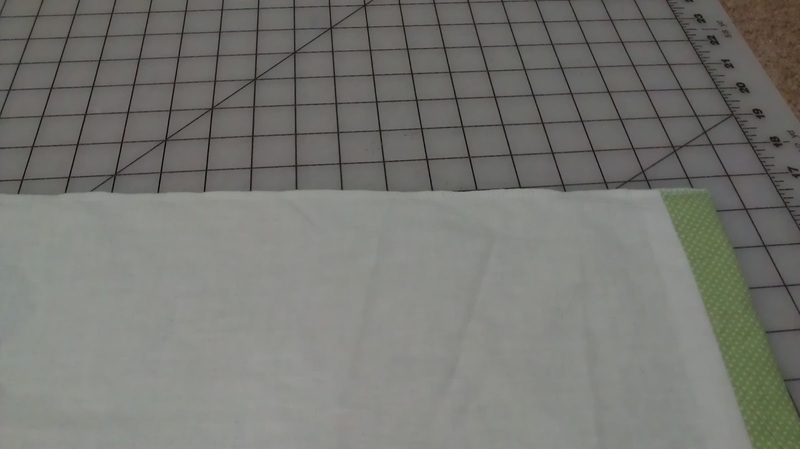 Just line up enough of the top to make sure everything is straight. You're only sewing the side right now, so that's the only critical part. 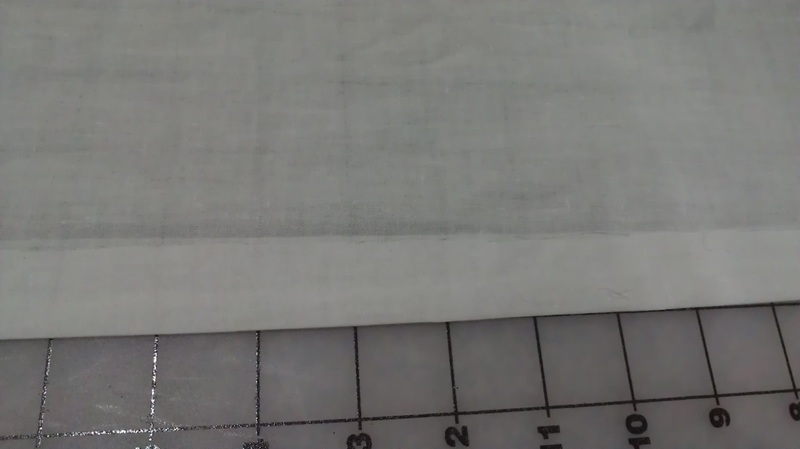 Remember, your lining will be 1" shorter at the bottom, and that's a good thing. 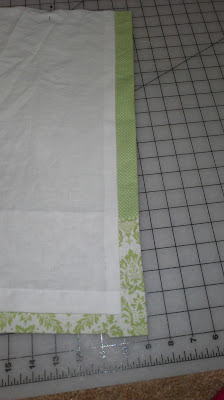 Pin the side edges together. Stitch the edges together using a 1/2" seam allowance. 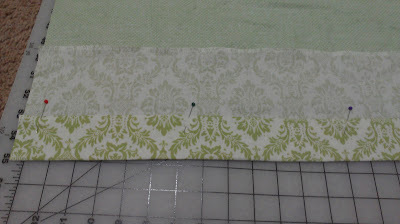 Now, still keeping the top lined up, line up the other ends and stitch them, as well. 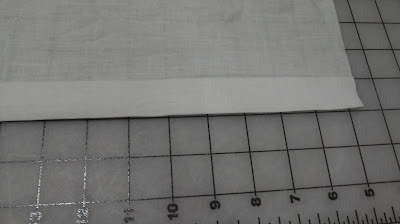 The fabric won't lay out smoothly at this point, because remember, your valence fabric is 4" wider than your lining fabric. As long as your ends and the top edges are lined up, you're good. 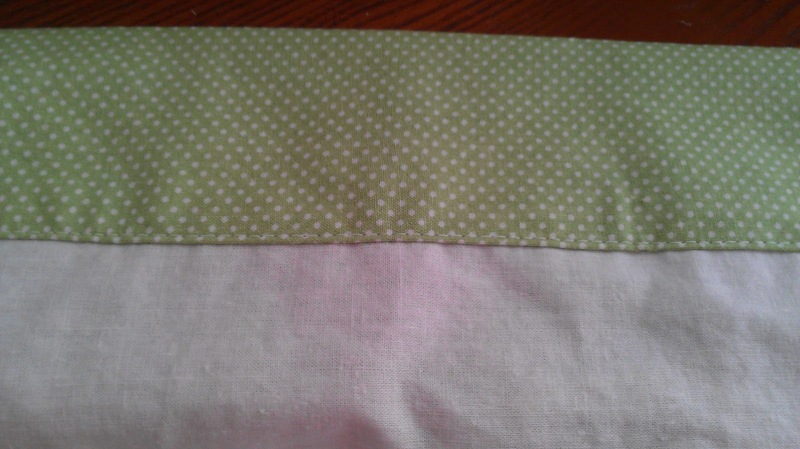 Once both sides are stitched together, flip the whole thing right-side out. 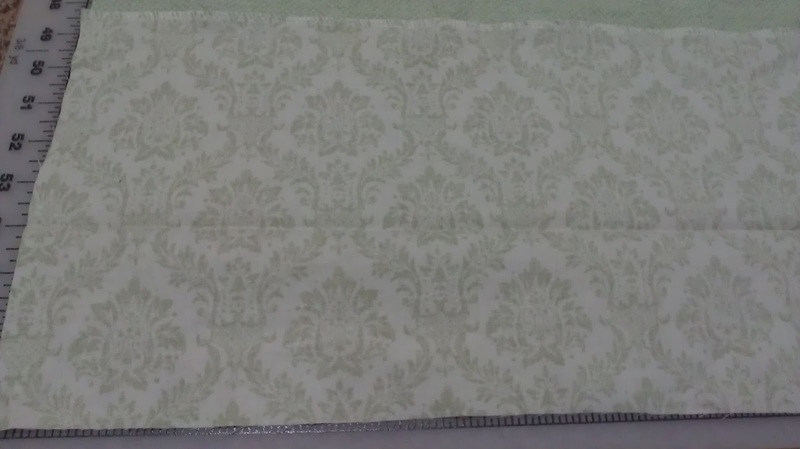 Lining-side up, arrange the fabric until the amount of valence fabric peeking around the sides is about the same on both ends (roughly 1" showing on each end). 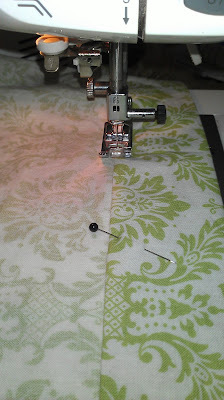 Press, taking care to make sure your seam allowance goes the same direction for your entire seam. 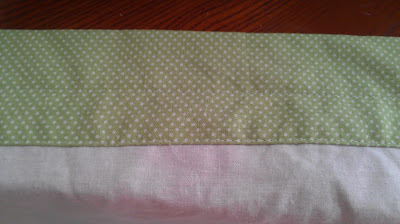 Serge or sew the top edges together. Now, down at the hem on each side, you've got this weird unfinished piece of valence fabric sticking out. We're going to clean that up a little before moving on. Tuck that raw edge under, forming a diagonal fold from the corner of the valence to the corner of the lining. Press. 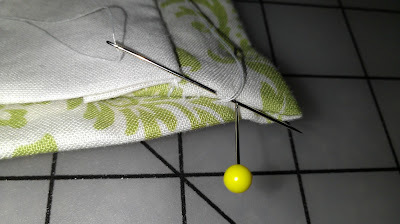 Using a blindstitch, stitch this closed by hand. Tie off and snip your threads. Much better! 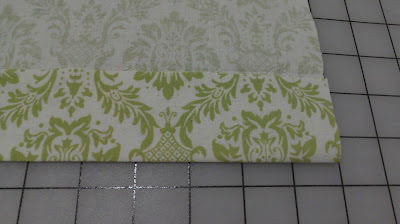 Maybe no one will ever see it, but I feel better when even the hidden parts of my projects have a professional finish! Going back to the top edge, where you just serged your fabric and lining together, press under 1/2" across the entire length of the valence. 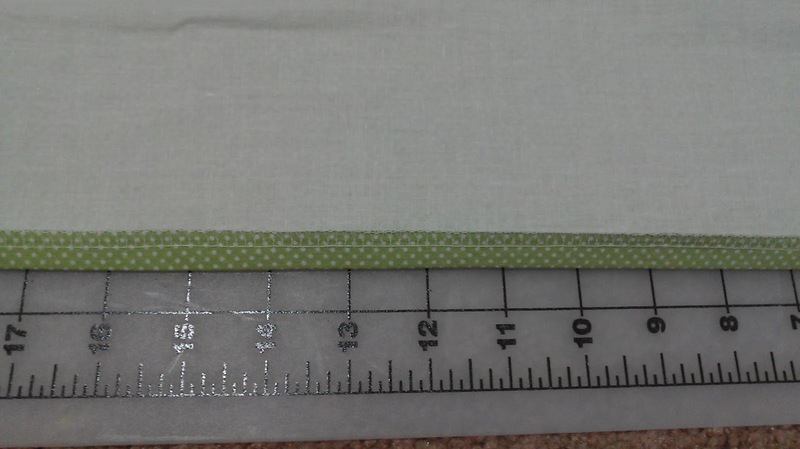 Keeping that folded, fold and press an additional 2 1/2" (or whatever the measurement is for your rod pocket plus "frill"). 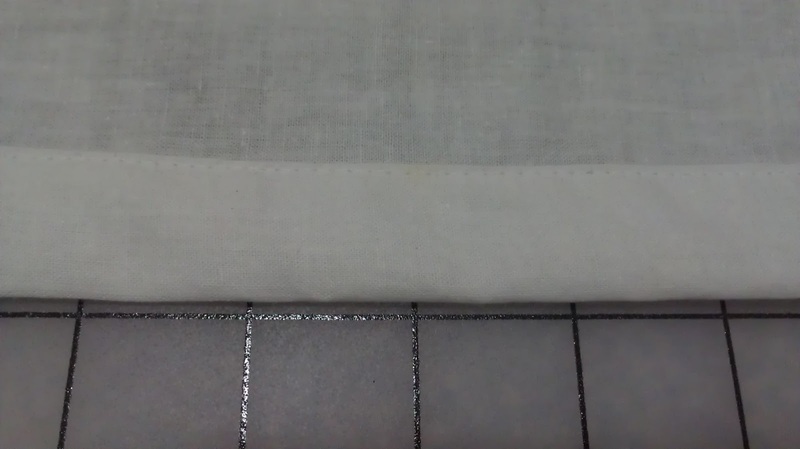 This is where we are forming the rod pocket and "frill", and where all those extra measurements we took in the beginning come in. 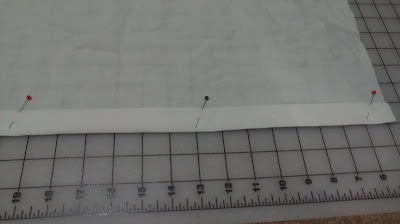 Measuring up 1" (or whatever your rod pocket measurement is) from this stitch line, run a second line of stitching. Guess what? You're done! Go hang that puppy up and admire your work! 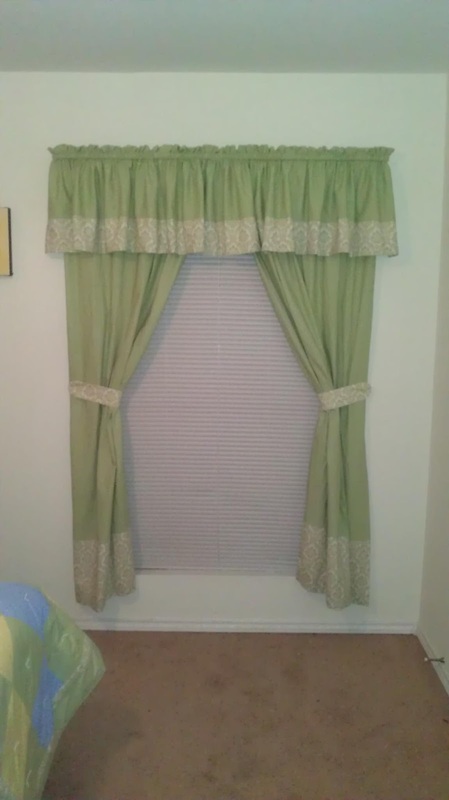 A valence can really complete the look of a window treatment!